Our team is committed to improving health in Orange County through quality patient care. With offices in Huntington Beach and Fountain Valley, Edinger physicians specialize in Internal Medicine, Family Medicine, and Pediatrics. Caring for patients for more than 50 years, Edinger Medical Group is consistently recognized for its outstanding patient care and patient satisfaction in the community. I dread going to the doctor as much as anyone, but the staff at Edinger medical group make it a great experience every time. Dr. Don is sincere and kind and I trust her to the fullest. I have been going to Dr. Don for 13 years and could never go to another doctor after having Dr. Don. She is so caring, warm, funny and knowledgeable. I have had a lot of serious health issues and she has always made sure I receive the best treatment from a great team of specialists. I love Edinger Medical Group! I am Dr Dons patient but I recently had a great experience at the Fountain Valley office I took my boyfriend in for a checkup with Dr McConnaughey he was very helpful he answer all of our questions. And let’s talk about the staff Vienna and Maria D. were so attentive and helpful! I can’t wait to recommend all my Costco coworkers! This is the best group of doctors in the world! Dr Yu, is very best doctor I have ever met, and when she is not available any of the doctors from EdingerMedial Group will step in. The staff and nurses are always helpful on the phone, they will call you back when asked.The offices are neat and clean. Please accept our heartfelt thanks to each and every one of you for the exceptional care you have given to our family though out the years. We are especially grateful for the attention shown to Jack in his final days (the card and singing of Happy Birthday” was thoughtful and really touched his heart). You always make us feel so special- just like family. Again, many, many thanks for all you say and do for us. My family is extremely happy with the care and treatment we receive at EMG (HB). Personally I am very appreciative of Dr. Hembree. For years she consistently has taken time to listen to me and my concerns. I feel confident that my overall health is in the best hands! To all the doctors and staff- I must congratulate you on the article in the OC Register and the well deserved praise and awards mentioned in the article. I have been a patient of EMG for many, many years and can attest to the value placed on patient care and welfare. My PCP is Dr. Grodin, but I have seen several other physicians there. EMG has high standards when referring me to a specialist and the referral process is always timely. As you can, tell I’m a big fan of EMG and Dr. Grodin in particular. Keep up the good work and thanks for caring. You guys are so fast- thank you for not taking so much of my time waiting. You are awesome! Love the new website. Thanks for the TLC while I was in the hospital. You guys are the best! Dr. Viglione is fantastic, wonderful bedside manner, very sincere. So incredibly thankful to Lizbeth for putting us in a room away from all the other sick kids on Sunday. She was very sweet, thoughtful and caring! Edinger Medical Group has excellent Customer Service! Especially Debyluz. She goes the extra miles to help me out for prescription issues. Outstanding job Deby! Amy was my nurse today, and she was incredibly kind and gentle. I think that she is a great nurse that clearly shows compassion. THANK YOU. Kristen has been so wonderful and caring each time I have been to an appointment. She is very professional and a pleasure to see! ~ Thank you. Thank you Mary for going above and beyond on helping me with my Medicare. You are the nicest person I have met and a positive asset to Edinger. I don't even know where to begin, I'm so happy with the Pediatric team here. I was referred by my OBGYN and I have brought all 3 of my sons here. I have also referred 2 nephews, 1 niece, and a cousin who has 3 kids and they all are patients here. I have seen almost all the doctors in this practice over the past 10 years and have been to both locations. The doctors and staff are phenomenal. Both locations are clean, friendly, accessible and everyone is so flexible. Dr. McConnaughey is a wonderful caring doctor. I appreciated his demeanor today with me. I felt better after seeing him. Thank you. Love this medical group. Best group I ever belonged to. Dr. Grodin is the greatest! Been a patient for 20 years including pediatrics when my kids were toddlers and up. Doctors and staff are caring and knowledgeable. Dr. Chacon is the best. The staff is awesome and friendly and very helpful. I have been a patient of Dr. Matthew Boone for over 20 years. He is an excellent clinician, extremely intelligent, a very caring person and is a good listener. He has helped me through a myriad of medical conditions. He is a graduate of one of the top medical schools in the nation and seems very knowledgeable regarding the latest updates in medicine. His assistant is very sweet and personable. She has worked with Dr. Boone for many years and is knowledgeable regarding medical procedures, etc. I know I am in good hands with this team! Edinger Medical Group has many fine doctors but I have to say that Dr. Grodin is at the top of the list. She has been my primary care physician for many years. She actively listens to what I have to say and asks probative questions to make sure she understands. She is very thorough. I never feel rushed when I am with her. She is "old school" in the sense that she is a throwback to a time when doctors got to know their patients. She freely gives of her own time to keep me in the loop on test results, referrals, etc. It is not unusual to get a call from her at 9 pm on a Sunday night as she follows up on something. Because of her thoroughness and patient-focused approach, it is not unusual for her to fall behind schedule during the day, but I willingly accept that as a small consequence of having Dr. Grodin in my corner. I know other patients feel the same way because she was so popular that she had to stop accepting new patients for a period of time. I recommend Dr. Grodin and Edinger Medical Group without hesitation for those looking for medical professionals that they can trust and who personally care about their well-being. I have been a patient or Dr. Stanley Arnold for 10 years. He is an outstanding physician. Knowledgeable. Great communicator. EZ, prompt and understandable answers with great advice. I would highly recommend Dr. Arnold to anyone who seeks excellent medical care. He does not have a bubbly personality, so if you are seeking someone to chat away with you and waste a lot of time, or have an obnoxious personality like those critiques listed by others on Yelp, he is not your doctor. Those who seek "good bedside manners" over excellent medical advice and excellent medical knowledge, go for it. He is not a "yes" man. I want the facts .. and delivered in prompt manner. I am busy... and so is he. I will keep Dr. Arnold, with pleasure and I recommend him to anyone. We have been patients of Edinger Medical Group for 25 years. Dr. Don was our mother's primary doctor for many years and most recently oversaw her care when mom was diagnosed with multiple myeloma and subsequent heart failure. Dr. Don surrounds herself with the top specialists available and we knew mom was receiving treatments from the very best doctors. We took great comfort in that. Dr. Don is not only an outstanding doctor, but her caring ways helped us through mom's entire illness and we will never forget the medical expertise, kindness, and compassion she showed to our entire family. Everything about Dr. Don and all of the doctors and staff at Edinger Medical Group is outstanding and we highly recommend them. Where do I begin with Dr. Nguyen? In our household, she isn't just my daughter's pediatrician, she is a true hero. She has also come to be a trusted friend and confidant, which is exactly what any parent should want in a healthcare provider. I will try and make a long story short, but in June 2015, I brought my otherwise healthy 6 year-old in to re-check her eyes and ears following a bout with pink eye and an ear infection. Dr. Nguyen was also following up that 2 weeks earlier when we initially came in, her blood pressure was elevated. She re-rechecked her blood pressure (multiple times that day) and it was still high. I had no possible explanation for it. Dr. Nguyen insisted that further tests be conducted and immediately had us seen at Orange Coast Memorial. I won't get into specifics, but my daughter has since had a successful surgery and been diagnosed with a rare disease that will have to managed for her lifetime. She has a great prognosis. The fact remains, I would not be writing this glowing and optimistic review if it weren't for Dr. Nguyen and her diligent, aggressive and thoughtful care of my daughter. My family and I are so grateful for her. I will also note, now that my daughter primarily see's specialists in LA, Dr. Nguyen and I still speak after every appointment we have. She is always responsive and helpful - she also is empathetic to it all - which is appreciated. She keeps tabs on what is happening with my daughter and does anything and everything she can to help facilitate swift insurance authorization requests. Again, so appreciated. She is our hero. Now that I have moved out of SoCal and had to find another doctor, I realize how great Dr Pellman is. He takes his time and answers all my crazy mom questions and never makes me feel rushed. #1 reason i recommend him: He talks to my son and makes him feel comfortable before examining him. It makes a world of difference. If you are looking for a doctor who won't jump straight into medicating but still prescribe prescriptions when needed he's a great in between. I definitely recommend him to all my friends. Dr Tran is the best. Would not trust anyone with my daughter. I am a physician and know all about beside manner and repoire. Knowledgable, takes her time, we never feel rushed and always ready to answer questions. Highly recommend. Very personable, easy to talk to and shows a genuine concern for your well-being. Takes the extra step to ensure your good health. I would highly recommend Dr. Viglione. Although I've only had the pleasure to meet with Dr. V. once, the experience was top notch. Front & back office staff were professional and efficient. Dr. V. was kind, knowledgeable and easy on the eyes. I write this review reluctantly because I don't want my secret gem of a doctor to get out. Over the past 6 years I have seen the physicians at Edinger Medical Group. Dr. Hembree is very compassionate, attentive and listens to my concerns. She has always provided excellent care. The staff is amazing!!! They are friendly, helpful, and professional. I recommend Edinger Medical to all my friends and family. May I also point out that the facility is always clean and beautifully decorated. To me that is a reflection of the practice as I do not want to be treated from a physician that has a dirty office. If they don't care about where they work, they won't care about who they are treating. Slightly perplexed by the mixed bag of reviews for Edinger Medical Group. Finally time to locate a general practitioner in the area, I sought out a nearby doctor on the Blue Cross provider list associated with my health insurance. [...] Icing on the cake of my experience was Dr. Hembree. I have scored two-for-two now, first with Prime Eye Care and Dr. Lee and now EMG and Dr. Hembree. She was kind, smart, pleasant, straight-forward and thorough. Everything you want in a doctor. Although my symptoms didn't strike her as incredibly concerning she ordered the appropriate blood work and test to "rule out anything scary". I have nothing but good things to say about this medical group and hopefully my experiences with them continue to be positive as I expect. This is a very clean and professional medical office. The staff are always very kind and I have never had an appointment here and had to wait well over my appointment time. Dr Don is a wonderful doctor and there is a fairly new doctor on staff, Dr. Viglione. He is a great new addition and makes you feel very comfortable and really tunes in to what it is you are there for so he can assist in the best way possible. We need more doctors like him and Dr. Don who really listen and seem genuinely concerned with your well being giving you the time needed to address all concerns without making you feel rushed. I have been a patient for some almost 30 years with Edinger Medical Group. When my medical insurance plan changed a few years back, I was transferred to Bristol Park Medical Group for 3 years. What a difference in the level of care. I was exceptionally disappointed. Finally my plan changed back, and I was able to return to Edinger. All I can is thank goodness for the change!! Edinger Medical Group has the finest group of Doctor's you will find anywhere. They really care about your health, listen to your questions, and give you straight forward answers. The Support Staff is exceptionally professional, and my personal physician Dr. Lauri Seymour is the best. No matter how busy she is, she takes the time to listen. I trust my medical care to Edinger Medical Group, and my entire Family as well. So should you. I was so happy to find this office. Everyone from the front desk Ms Tevona to nurse Ms. Veronica and Dr. Fogarty made you feel welcomed and party of their family. They spoke to you professionally, with a smile and kindness. Dr. Fogarty is very personable, through and she took as much time as needed to become acquainted with me listening to my concerns and addressing them. I then went to mammography and Quest Labs downstairs and was met with the same professionalism, kindness and smile. I truly felt appreciated and valued as a patient of theirs. Thank you for your professionalism, expertise and welcoming-family environment. My wife and I have been patients with EMG for over 40 years. My two adult children went to Dr. Pell man and Dr. Willis for their Pediatric care. When my oldest daughter had her children they became patients for their Pediatric care and now they use EMG for their Primary Care as adults. My wife has been using Dr. Grodin as her Primary for many years and always has nothing but good things to say about her. Dr. Arnold has been my Primary for the past 25 years. He is very Professional and treats you with respect every time. All the staff is very professional. All I say is that we are very happy to be a part of EMG and wish them all the best in the future. I have been using Edinger Medical Group physicians for over 20 yrs. Being in a health care profession for 34 yrs., I have had occasion to observe the practice of hundreds of doctors. These physicians are the best group I have had the pleasure to deal with. They are prompt, courteous and caring, both in the front and back office. My husband and children have all had the best of care when seeing these doctors and practitioners (especially Susan Wergles). If insurance permits, I will always choose them for reliable, compassionate care. I recently moved to California so I was a bit apprehensive in choosing a primary care physician. I came across Edinger Medical Group here on Yelp and decided to try them out when I got bronchitis recently. I was seen by Dr. Boone and he was so friendly, took the time to address my concerns, and took the necessary actions to treat my infection (xray, lab tests, etc.). I needed to go in for a separate issue a second time and Dr. Boone wasn't in that day so I was seen by Dr. McConnaughey. Once again I was greeted by him with a smile, his full attention and took the time to again address my illness. I didn't feel rushed either time, I felt like they truly care for their patients, it isn't your "puppy mill" kind of place. I am really glad I found trusting doctors that get to know me on a personal level, not just treating an illness. I would definitely recommend them to my friends and family!! Dr. Valery Brouwer at Edinger Pediatrics is everything you want in a pediatrician. She's charismatic, straight-forward, gives you the reasons why instead of just saying "do this" and you can tell she cares. Best of all, my son loves her too! My husband also sees Dr. McConnaughey at the adult practice and really likes him. I have been coming here since I was born. The doctors and pediatricians are great and now I'm coming here for my daughter. Even since it's been a while, the doctors and pediatricians remember me and now are stoked on seeing the next generation. I love the whole environment here too. Couldn't ask for better! Stars cannot express how GREAT Edinger Medical Group is. I have been bringing my children for the last 10 years and the pediatric doctors have always taken good care of my kids. The pediatric department is AWESOME starting with the front desk staff, medical assistants in the back and of course the pediatric doctors. I am also a patient of Edinger Medical Group. I have been coming to their office for many years and they have always taken good care of me. The medical doctors starting with Dr. Arnold to Dr. Yu are the BEST doctors in Orange County. This review is for my daughter's pediatrician, Dr Lam-Quynh Nguyen. She's attentive, friendly, and caring. My family has moved a little further away from this facility but we still see her because she's so great we make the drive so that my daughter can be under her care. She'll make sure to answer all of our questions during the appointment. When my daughter was first born, we have used the online system to ask about developmental issues because we weren't sure as first-time parents what to do, I was relieved and glad to have her email back same day. I absolutely love Edinger Medical Group and refer all of my friends and family to the highly educated doctors here. I feel completely cared for and trust every doctor at EMG. It's awesome to know that if my primary doctor isn't available (Dr. Boone) that I feel comfortable and confident that every doctor is the biggest advocate for my health, with attention to detail and support preventative care that I appreciate. Even when it's urgent care and I need to be seen, I do not feel rushed, and I have the space to explain everything and anything I'm going through with my Doctor whom I know cares deeply about each and every one of his patients. They have a lot of in house facilities, which includes a fabulous x-ray staff, and with Quest labs right downstairs it's great for someone with a hectic work schedule like myself because I don't have to worry about going anywhere else for my medical needs. I'm not sure about the other negative reviews on here because I absolutely love coming to this office, where I feel like family instead of a patient. I know each doctor would give me the same attention and care as they would do for their closest family members. When a doctor gets on the phone with my insurance company personally to make sure my specialist/allergy labs are covered by my insurance you know you have a great establishment on your hands! If you want a staff and doctors that remember you, your conditions, and what the next process is for your own health come here-you won't be disappointed! I genuinely don't know if I can find the right words to describe how much I love my daughter's pediatrician! My little girl was a preemie and I was struggling with her colic, sleep issues, allergies and acid reflux... I had a nightmare experience at Beach Pediatrics and had been to 4 different pediatricians before a friend recommended Dr Nguyen at Edinger Medical Group... I was a little hesitant because the reviews weren't as good as Beach Pediatrics but I figured I had nothing to lose. I am so happy that I went! Dr Nguyen was able to get her reflux under control, was so patient and understand and helped me understand and control my daughter's colic... She is so knowledgable and I love the fact that she has two young children so she can completely relate not only as a pediatrician but also as a mother dealing with everything first hand. I love love love Dr Nguyen and would recommend her to everyone!! I love Edinger Medical Group! I am Dr Dons patient but I recently had a great experience at the Fountain Valley office I took my boyfriend in for a check up with Dr McConnaughey he was very helpful he answer all of our questions. And let's talk about the staff Vienna and Maria D. We're so attentive and helpful ! I can't wait to recommend all my co worker at Costco ! I have been a patient with Edinger Medical Group for 11 years now. After my hospitalization for a serious illness, the staff, doctors, and the genuine concern for my well being has been sensational. I had experienced other doctors that had placed blame and guilt for my condition. Not with EMG. Since that time, I am blessed to have been treated by Dr. Seymour, Dr. Middlebrooks, Dr. Arnold and others, with such personalized care that made me feel as though I was part of an extended family. They deserve every honor that has been bestowed upon them, and then some. I am grateful for having found them in my hour of need. Thank you for your continued care. My kids have been going to EMG for 9 years now. When my eldest daughter was an infant, not even 1 year old yet, she battled a really bad case of eczema. She was put on steroids and different kinds of topical ointment, but nothing seemed to work. We were frustrated and some of the doctors we saw gave up and said, "I don't know what else to tell you." Dr. Pellman was the only pediatrician that did not give up on helping my daughter get her eczema under control. He was very diligent, caring and he made my husband and I feel like we weren't alone and there was hope for our baby. My daughter's eczema is under control and thanks to Dr. Pellman, we developed a system where we can control any "eczema outbreak" she might have in the future. I have been going to Edinger Medical Group for over 13 years. I used to have Kaiser, I am glad I made the switch. From the staff to the Doctors the people at Edinger medical group are as compassionate as they are professional. I am very grateful to have Dr. Middlebrooks as my doctor, I will not go anywhere else!!! Dr. Yu is very professional, friendly, and informative. She's quick to respond and so is her staff. HIGHLY RECOMMENDED. great doctor and staff is very professional. I highly recommend Dr. Yu. Great listener. Love [Dr. Don's] bed side manner. I have been with Dr. Fogarty for 16+ year.This year was diagnosed with thyroid cancer she was great, found me the best surgons for my case.Dr. Fogary and her nurse tawanda had all referrals processed quickly. Love her. Will never change. [Dr. Grodin] was very interested in why I was visiting and took the time to ask me questions and really wanted to help me unlike so many other doctors out there...she just really seemed like she cared. Dr. Grodin is a Doctor far above and beyond all others. She works, for her patients, far into the night. Quite often, late in the evening, my phone will ring with Dr. Grodin on the line giving me the latest LAB report or results. and asking me how I am, and if I have any questions ... I have never heard of another doctor this concerned, this dedicated with her patients and their well being. Thank God for such a wonderful doctor, and God Bless Her. The ratings on this survey only go up to 5, but for this Doctor they should go to 10. She is an Angel with a stethoscope! Very caring and dedicated to her patients. She treats them with respect and provides quality care. She deserves to be awarded best doctor in Orange County! My 3 & 4 year old daughters love Dr. Brouwer. They have been comeing to edinger medical group since they were born. She is always friendly, helpful, positive and always remembers my girls. We are blessed to have found Dr. Brouwer for our two teenage daughters. She is an excellent doctor with great bedside skills. She has gone above and beyond with her communication and assistance in helping my eldest daughter with an issue that was outside of her scope of practice. We couldn't be happier. I was seeing several Dr's at the time and I was not taken seriously. Because of what I looked liked. I guess I looked like a partying college girl. My symptoms were never taken seriously until I met Dr. Arnold. I told him my symptoms and he immediately ran tests that proved I was suffering from Lupus and a severe bleeding disorder among a few other things. That was almost 20 years ago. My health is stable now because of Dr. Arnold. I still see him. I have been seeing Dr. Don for about three or four years. She substituted for my usual doctor at Edinger one day and I liked her so much I switched to her! She is super friendly, actually listens to you, is very responsive and seems to have a very high level of knowledge. I really enjoy having her as my general practitoner. I called the Edinger Medical Group for severe abdominal and back pain and was able to get an appointment in under 2 hours. I was informed that I would see Dr. Hembree. I was worried as I had read the negative reviews on her, however I was pleasantly surprised when she came into the room and was friendly, personable and knowledgeable. I am now considering making Dr. Hembree my primary care physician and would definitely recommend her to family and friends. Outstanding physician. Listens to symptoms, asks questions, and then explains thoughts about treatment. Thorough with chart review for any changes or updates from previous visits and mentions. Glad [Dr. Middlebrooks] is on my team. He and office respond to emails and follow up. Dr Jack Middlebrooks is a great doctor. He is knowledgeable, patient, answered all my concerns and worries at my recent visit! [Dr. Middlebrooks is] an absolutely outstanding doctor. Takes the time to discuss everything that you want to know. Professional and extremely caring. Very kind, caring and soft spoken. She takes the time to listen and explain things. I've been to see Dr. Seymour several times and have never felt hurried. Dr. Chacon may not be warm and fuzzy at first glance, but she is comitted, professional, and a very good pediatrician. When my daughter was born in November, Dr. C was prompt and stayed in my hospital room until all questions were answered and our minds were at ease, she even came to work on a Sunday as two other doctors were on maternity leave and there was work to be done. Fast forward to our six week appointment and my 3 year olds check-up date- Dr. Chacon saw both girls at once, which was great for me. She made small talk with my oldest daughter about being a big sister, and my daughter spoke fondly of our visit for several days afterward. She even told me that I was doing a "great job", which is all of the warm and fuzzy I need coming from my child's doctor. The icing on the cake was when just a bit ago, I called her office with a question about breast feeding. I'll be darned if Dr. Chacon didn't call me back in about five minutes, offering me very good and practical advice. I would highly recommend this wonderful and very competent doctor to all who I know. Dr Pellman has been my daughter's Doctor since we moved to the Oc about three years ago. He is great with children putting them at ease. It doesn't hurt that he is a Cubs fan. But all and all great caring Doctor who spends time with you and explains everything to you. Dr. Yu has been my primary care physician for the past several years. She's very attentive to my concerns & questions and handled my concerns and questions with care and respect. She is very knowledgeable, kind and caring physician. I'm very happy to have found Dr. Yu and the EMG doctors & staff. I'm so glad that they are recognized as the #1 medical group in the OC. The entire staff is always professional in their dealing with the public and their customer service is top notch. Dr. Yu examined my shoulder, made a diagnosis, prescribed a treatment, and completed my visit perfectly. I am almost pain free and she was completely correct when explaining what I would experience after the visit. [Dr. Yu is] One of the greatest doctors. On earth a true 15 star Doctor the Eidenger group would get a 15 also . Everyone go' s out of their way to help us every time we need help. Hears to 20+ years with a great doctor and medical group will stay with as long as they keep us. Dr. Yu is very friendly but very professional. She listens and responds to your health needs. She has been my doctor for years, and I highly recommend her to my friends. I've referred all of my friends to Dr. Don and we all agree that she's the best physician: meaning that she takes her time to listen and respond thoughtfully. She's proactive in her treatment plan and always great to personally follow-up. Dr, Grodin is exceptional in providing quality patient care. She takes the time to listen to patient concerns and goes the extra mile. How many doctors will call "after hours and on the weekend" to discuss test results or other issues? Her concern is genuine and much appreciated. Dr. Nguyen was tenacious in doing all she could to figure out why my 6 year-old was experiencing high blood pressure. My daughter has since had a successful surgery and been diagnosed with a rare disease that will have to managed for a lifetime. She has also come to be a trusted friend and confidant, which is exactly what any parent should want in a healthcare provider. She is our hero. Today’s nurse was so sweet & helpful and answered all of my questions for my shots. Araceli, Krystal and Vanessa were dolls as well. Thank you for helping me get well! WOW! Dr. Viglione, what a great doctor and addition to EMG. Thoughtful, compassionate, and very thorough. *and I might add that he is easy on the eyes* I’m just a senior gal, wishing EMG all the best possible success, and I am proud to be a part of EMG! A very sincere Thank you to All. I had a WONDERFUL experience. Not many people can say that when visting a doctors office. Krystal was very helpful, and has a wonderful personality which makes these visits that much easier. Thank you! Thank you for a wonderful visit, Dr.Don and Sonia are marvelous! In fact, the whole staff at the HB office are so pleasant and congenial. Thanks!!! Everyone is wonderful at Edinger Medical Group! The young ladies in the front are AWESOME! Special thanks to Denisse. Thanks to Carol for going above and beyond helping me with my Apria issue. Greatly Appreciated! I am very thankful and appreciative of the kind, friendly smiles each and every time I come into the office. Our nurses, especially Sylvia always go above and beyond to make sure our visits are a positive experience. Sylvia, thank you for caring for my kids with love! As I was waiting for the doctor to come and see me, a kind nurse out of the blue offered me water. It was unexpected, so I had to write about it. Krystal was her name, and Denisse was very kind as well. I love EMG and Dr. McConnaughey, you have no idea how it feels to have a group like EMG. We love you guys and please keep your arms around us! I have been a long time patient and want to tell you that Linda P. has been consistently nice, sweet, kind and efficient over the years, and wanted to say thank you for hiring and keeping her. Your group is a well-oiled machine, and I love your staff because they care, which is very rare these days. Your staff is wonderful. Getting to know them as I am in the office every couple of weeks and they are all extremely nice, professional, and engaging. All of them! Both my son and I have been able to see you as new patients. My oldest had an issue and needed to see Urgent care as he leaves for Boston next week. This is to let you know about the amazing job the appointment and billing offices have done to make that possible. I appreciate great work! Dr. Yu is the best doctor! I have seen her for over 20 years and she and her staff are the best! I live out of town, but will still come to see her as she knows me so well! All of the staff here is seriously like a family member to me. I have been a patient since I was a baby and now I take my baby here. Thank you all for all of your hard work! My husband and I have been seen Dr. Middlebrooks for years. My entire family loves EMG. We have referred lots of others to EMG too. Your online system to contact doctors is fabulous. Thanks EMG! Noah, Isaiah and Veronica M.
Everyone at Edinger is prompt and the follow thru from the PCC dept is fantastic. I was with another medical group for 13 years, but your group blows them out of the water! Dr. Boone: I am so glad you are my new doctor. I wish I switched to you a long time ago, you actually sent my lab results to me a week later, very professional. I had no idea what inadequate care I had been under. The stress I felt about my health was making things worse. Now I feel like I am going in the right direction. I am a first time client and everyone from making the appointment to check out was wonderful and very helpful. The doctor (Dr. Arnold) was friendly and personable and I appreciated his sense of humor. See you guys soon! I drive 1 ½ hours to come to these Doctors. The staff knows you by name and is always smiling. Dr. Middlebrooks really listens. I thank you my angels~! We are very happy and pleased every time that we call into the scheduling department. We love Dr. McConnaughey and everyone is always so helpful and thorough. I wanted to send a note of thanks for Roberta’s help, kindness and excellent customer service! I work for a large insurance company and customer service is so important! Roberta listened to my concerns for my husband’s pain and need to get his MRI expedited. And she got the job done! And was so pleasant while doing it. This is a rare quality in today’s society so I wanted to make sure to let you know how appreciative we are for Roberta being a part of the EMG family!! I appreciate all the attention with which Dr. Seymour approaches her patients. Her dedication and commitment to providing quality medical attention is something to look forward to. My kids' doctor is Dr. Mai-Khanh Tran. My husband and I are so grateful to have found such a wonderful doctor like Dr. Tran. She is very patient and always takes her time examining my kids and listening to our concerns. She always engages my kids first by talking to them so that they feel comfortable before start examining them. She has been my kids' doctor ever since they were born (we have 2 yr old daughter and 6 months old son). Please tell Veronica how grateful I am. She was so kind to me and made me feel reassured after I left. It's really the best office staff experience I've ever had. She really went out of her way for me. Love, Love, Love this office! Everyone from the front desk staff to the medical assistants, Tanyia, to Lana are absolutely wonderful! I actually enjoy my doctor visits. This place has been a blessing to me. EMG deserves to be #1 in the entire US! From the Office manager, schedulers, front desk, back office and everyone that make it easier for the patients, these offices are the best. I love Dr. McConnaughey and all the doctors. Nikki was a huge help, she went above and beyond to help my mother - even helping her all the way to the car because my mother has my infant son alone. I am so thankful for her help and assistance. Tivona and Vickey –thank you for going above and beyond! We are used to hearing things like “I am sorry, but I can’t help you.” We are blessed to have Edinger Medical Group to care of our medical needs and to have people like you who truly care about the needs of others. Thank you! The people of Orange County have spoken. The 25th Annual Best of Orange County selected Edinger Medical Group as the #1 Medical Group in Orange County. Thank you to those who voted to help us achieve this honor. 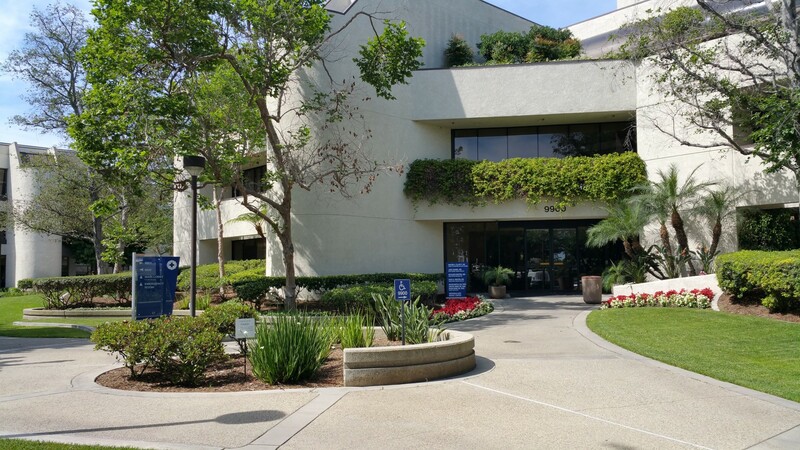 Edinger Medical Group has been caring for Orange County patients for over 50 years with offices in Fountain Valley and Huntington Beach, California. Specializing in Internal Medicine, Pediatrics, and Family Practice, the physicians are dedicated to providing outstanding, comprehensive healthcare to patients of all ages. For consecutive years, Edinger Medical Group has been recognized for outstanding patient care and patient satisfaction. Most recently, Edinger Medical Group was ranked the number one private medical group in Orange County for the fifth year in a row and was the highest rated group for clinical quality of care, when compared to 228 other medical groups throughout the state. Edinger Medical Group doctors are all active staff members at Hoag Memorial Hospital Presbyterian in Newport Beach and Orange Coast Memorial Medical Center in Fountain Valley; and pediatric patients have access to specialized care at Children’s Hospital of Orange County (CHOC) — thereby, providing all our patients access to some of the best physician and hospital care available in Orange County. For more than 50 years, Edinger Medical Group has stayed true to the fundamental goal of practicing the highest quality of healthcare. Our patients can count on the care they receive from us. With a significant percentage of the award relying on independent patient satisfaction survey, our patients express confidence in the care they receive from us (and we appreciate it). Our patients should feel assured they are recipients of care that is incomparable in the community and in the state.